Guests on the show: Sanjeev Kapoor – Indian chef and entrepreneur and Vikas Khanna – Indian chef, restaurateur, and cookbook writer, filmmaker, humanitarian and the TV host. Kapil welcomes all and speaks that humans have two problems, first one how to get some food for the empty stomach and the second one is its contrary, how to remove things from full stomach. He speaks on speaking on the first issue. Kapil speaks that when people visit some new places they also yearn for their state food, and gives example of Punjab and South India vice-versa. He speaks that Gujarati man carries his own food and belongings with him. Raju comes dressed as a crow on stage, and Bittu calls him a smart fellow. He speaks on bringing an idea and speaks that a Sait’s (rich man) family has got a birth of a baby boy and he wants to offer food to birds, animals, trees, girl or old man then his child will be healthy. This is advised to the rich man by a pandit. Therefore, he himself became a crow, Bua has become tree, Mrs. Sharma a girl, Palak as buffalo. After hearing it, Bittu speaks that he has to become an old man. Raju speaks that Bittu’s mind works fast when he hears about food. Sooner, the rich man (Paresh) comes with his wife (Roshni Chopra). The rich man’s wife carries the baby and suggests that Mrs. Sharma who is acting as a girl (Kannaiya) to be the child of the crow. Mrs. Sharma replies that she is a girl and not the daughter of a crow and the rich man makes a taunt on her that she and the crow both share the same chonch. Bittu comes as an old man and the rich man introduces himself as Kadodi (Karori) mal. Bittu as old man welcomes him and also makes a taunt on his wife as she is dressed in a saree and wears sunglasses just a day after giving birth. Bittu and his family sits on the floor and eats the food which are brought by kadodi mal. After eating it, all becomes high and feels intoxicated and goes into sleep. Kapil speaks that today’s guest has relationship with food and makes a taunt on his own home which lacks food and just depends on God’s intervention for living. 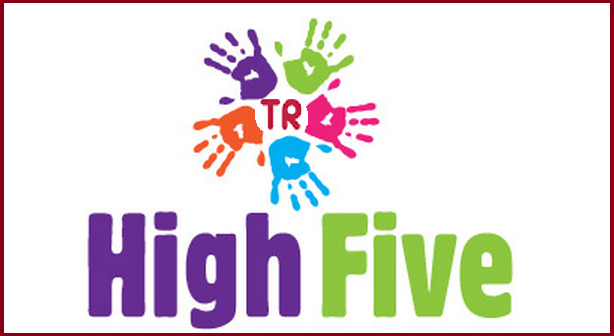 He welcomes Sanjeev Kapoor and Vikas Khanna and calls Sanjeev Ji the most entertaining chef of India. Vikas comes on the stage and dances a bit on Party to Banti Hai song. Kapil speaks with Sanjeev ji’s wife and calls her as the luckiest women of the world since her husband himself wants to make food everyday. He then asks her who makes food at home ? She replies that Sanjeev makes food everyday at home from morning to evening. Kapil asks Siddhu to identify the name of the dish and he will provide some details about it. Kapil speaks fried crisp pyramid stuffed with delicately spiced mashed potatoes and peas. Kapil wants Siddhu to think and couldn’t reply. 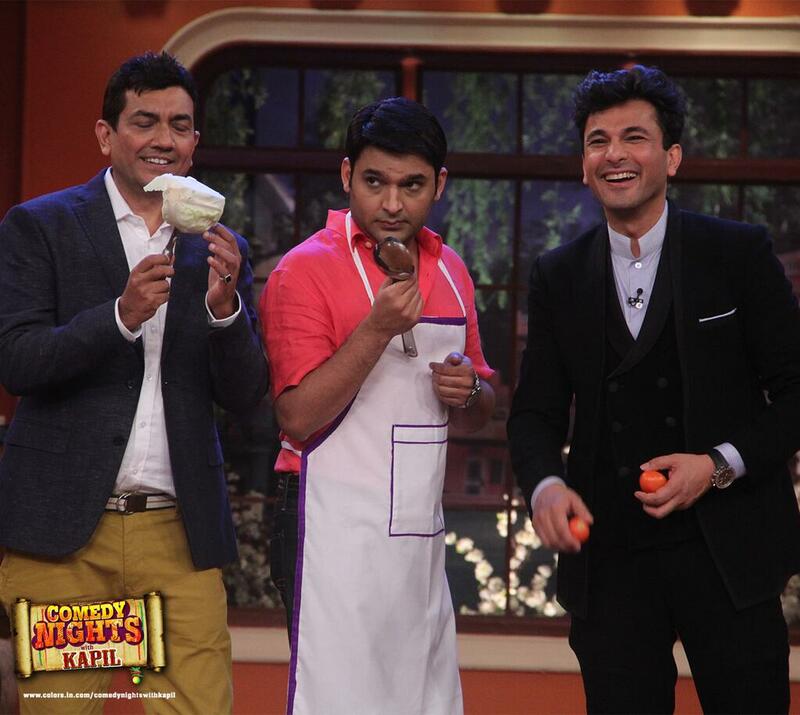 Kapil replies the answer is Samosa. Sanjeev speaks that food can have fragrance, and speaks that you can good names to food and give more presentation value like Mutton Kal Wala (yesterday’s mutton), Muskurati Daal (Smiling Daal), Chawaalein -e- Ubaal (boiled rice). Siddhu makes a taunt that at Bittu’s home you will get last week’s button. Kapil speaks of old Paratas and suggests a name that this paratas will create indigestion for you. Kapil speaks that he learnt very elegant names of dishes, and then asks him whether he has given elegant names to dishes at his restaurants in Dubai. Sanjeev speaks that he gave a name to Daal which is very popular everywhere, and he gave it the name Lalla Musa Daal in Dubai, and in India it is just called Daal. There is also a challenge between Palak and Mrs. Sharma (manju) to make good food. Palak gets a helping hand by Sanjeev ji while Manju gets support from Vikas. Vikas comes close to her a bit while she is cooking and Bittu after seeing him asks whether he is helping him in making food or is building his mood invoking a laughter. 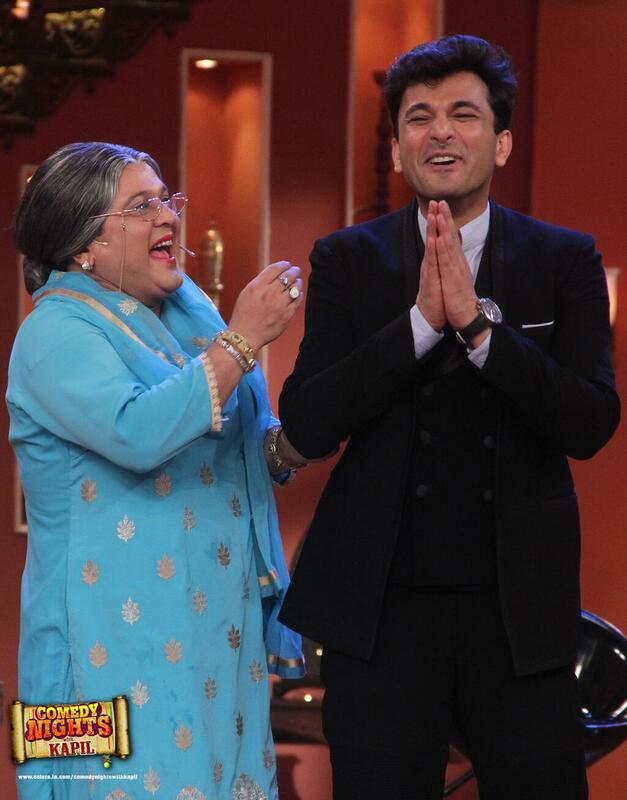 Daadi comes on stage and calls Sanjeev Kapoor and Vikas Khanna as food doctors. Bittu speaks they are chefs and not doctors. She tries to show her affection to Vikas much and speaks that she is not a compulsive drinker. Vikas responds that she herself is a bottle of alcohol so why she needs to drink. Daadi becomes amused on his answer. She calls him very fast and both dances on Ishq Wala love song and also Vikas candidly dances with her. 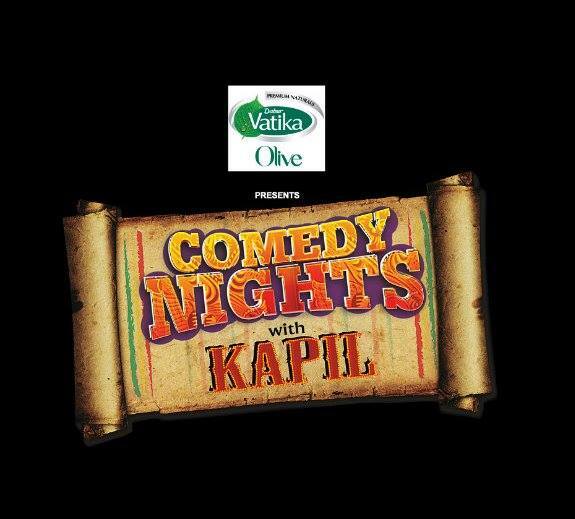 Kapil signs off by saying keep smiling, keep watching comedy nights at your homes on Colors every Sat/Sun @ 10 PM. The show ends on a happy note with all dancing together on party to banti hai song from the movie Bhootnath. * Sanjeev Kapoor was born on 10 April 1964 in Ambala, Haryana, India. 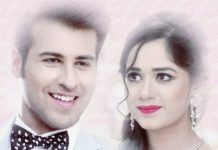 – Starred in the longest running TV show Khana Khazana of its kind in Asia and was broadcasts in 120 countries in 2010 with more than 500 million viewers. – Earned a diploma in Hotel management from the Institute of Hotel Management (IHM) Pusa in 1984. – Launched his Food Food channel in January 2011. – Celebrity judge on Master Chef India Season 3 on Star Plus. – Read more at his Wikipedia page. Sanjeev’s Twitter page. * Vikas Khanna was born on November 14, 1971 in Amritsar, Punjab, India. As he was born with misaligned legs and feet so he wasn’t able to run until he was 13. – He is based in New York. – He is also a filmmaker, humanitarian and the host of the TV Show Master Chef Season 2 and 3. – Voted as the Sexiest Man Alive in 2011 by People’s magazine and also referred as the The Hottest Chef of America. – Read more at his Wikipedia page. Vikas’s Twitter page. * Tomorrow’s episode (6th July) of CNWK will have Yo Yo Honey Singh as the Guest. Honey Singh’s Twitter page. 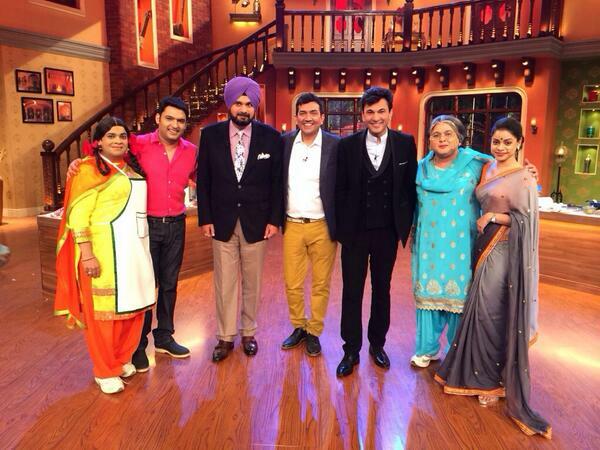 Image credit: Twitter page of Colors TV and Twitter page of Sanjeev Kapoor, and official Twitter page of Comedy Nights.